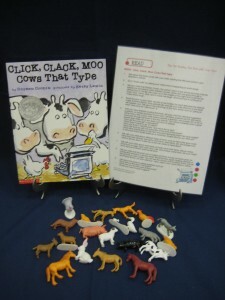 In this hilarious picture book, the cows find an old typewriter in the barn and begin typing out demands for Farmer Brown. The first letter asks for electric blankets and notes keep going back and forth until the cows go on strike. The duck acts as an impartial party to help work out a compromise and the exasperated farmer finally makes concessions, only to find that the cows are not the only ones who can type. Children and adults alike will cheer for the clever creatures that calmly and politely stand up for their rights. 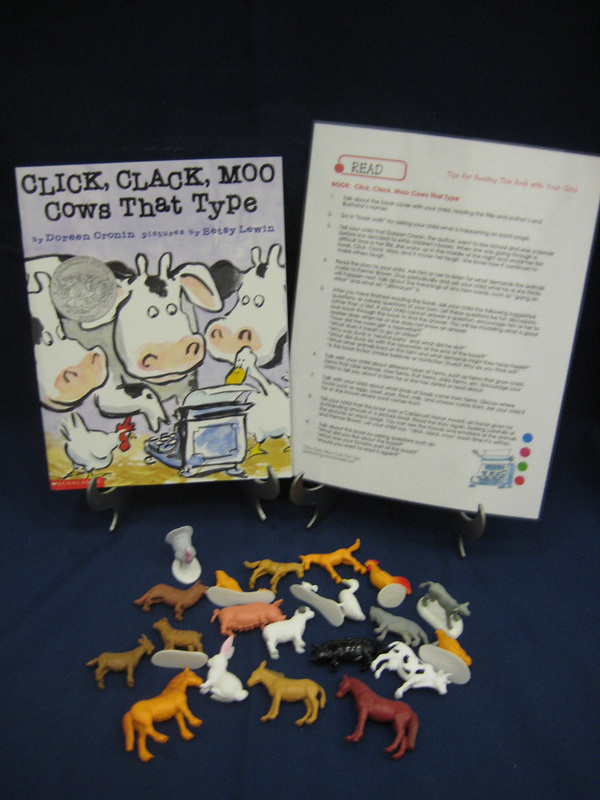 Activity— Use farm animals for estimating, sorting, making patterns, and creating and solving math problems.